Kim Kardashian may be used to people talking about any and everything she does, but she wanted to set the record straight when it comes to her baby sister Kylie Jenner and those overly plump lips the 17 year old has had of late. "She draws her lip .. she only wears a lip liner, an then she fills it in. She doesn't wear a lipstick or a gloss." The star revealed in an interview with a U.K beauty blog. "She's really good at makeup." 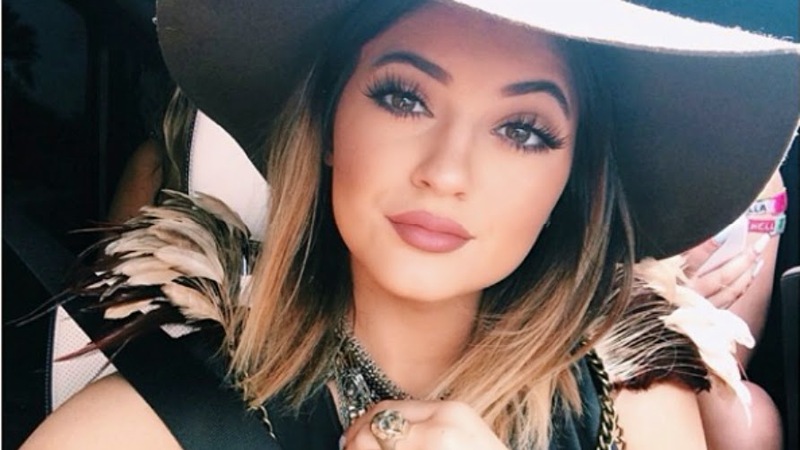 Kylie must have some magic in that lip liner!